Classic gifts may be traditional in nature, but you can always add a unique, romantic twist to your gift to show the businesswoman in your life just how much you love her, admire her and will do all that you can to support her in her chosen career. This is particularly important for Valentine’s day gifts. Red roses reign supreme as the bloom signifying sincere love and passion towards your beloved and are the classic Valentine’s day gifts. Should you refuse to pay the exorbitant marked-up price on red roses or your beloved sees them as a cliché, then choose her favourite flowers or buy white or yellow roses or a mixed rose bouquet. Whatever flowers you choose, make the display a romantic gift by teaming it with a thoughtful, heartfelt card that shows you put thought into your gift and that you value your relationship. It is this love message that is top of the Valentine’s day gifts list for most women.You can combine the symbolism of passionate love of a rose and the luxury of 24 karat gold with a real rose that has been picked as it reaches peak beauty, dipped in 24 karat gold and presented in an exquisite leather display case. This is an impressive symbol of love and a quality art piece that declares your love is immortal. This is a unique gift for a woman in your life which she can enjoy, display and be proud of for a lifetime. Roomy work bags are one of those necessities of a businesswoman’s life. A great looking business bag or tote to fit all her reading materials, phone, snacks, and make-up does will show how much you understand the importance of her work and that you want to support her in her career. A creative color contrast bucket bag, an unusual metallic tote or a bag that’s chic and practical with multiple interior pockets for all her important essentials and a front slip pocket for files are some Valentine’s day gifts to consider. There are also vegan leather satchels or hobo bags that she can put her entire life in (with a side pocket so she can find her keys). Smartphones, ipads and tablets have not finished eReaders. If your beloved loves reading, this is a perfect gift that helps her leave her work technology aside to delve into her favorite author’s latest tome without distraction. Most eReaders look like paper and are easier on the eyes than the screen of a phone or tablet. Another bonus is that an eReader will not stop your beloved from sleeping, due to the blue light emitted from a phone or tablet screen, making it better for late-night reading. eReaders also excel in bright sunlight as there is no reflection on the screen. Battery life is also much better on dedicated eReaders than phones and tablets, as an eReader could keep going for weeks or even months without needing a recharge. 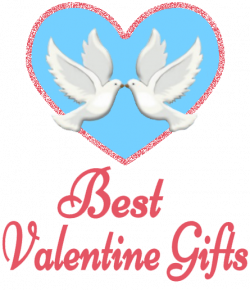 A gift basket for the entrepreneur or self employed businesswoman, overflowing with office supplies or materials that she uses in her business makes a practical, yet romantic Valentine’s day gift. Pen, paper, desk calendar, file folders, stamps and mailing supplies, notepads, printer cartridges and more will show your support and understanding of her work and enable her to be confident that she has every little thing she needs to continue her work. Arrange the basket so that it looks attractive and add a bottle of prosecco, her favourite flowers and some premium candy to keep the classic Valentine’s day gifts included. Fragrances are another classic gift. For an extra special perfumery gift, get creative and design own unique Valentine’s day gift fragrance for your sweetheart. This is such a romantic gift, as she will see the effort, consideration and creative spirit put into giving her pleasure. Go online and be supported through every stage of choosing the scents you want to make a perfume just for her. Some companies also offer online or telephone support to be sure that you get the scent you and your darling will adore. You can also add a monogram or design to the bottle the unique fragrance will be delivered in.An alternative is to buy a fragrance set that your beloved can layer to create her own customized, signature scent. We all need down time, particularly if you are a businesswoman run off your feet with work, home, and childcare. Treat your darling to a luxury fleece robe that she can wear as you cuddle up for a romantic night in front of the television or when she has a Saturday morning lie in. You will not find anything cosier than a robe with a longer cut and fleece lining. It will be just the right thing to slip on after a bubble bath, or over pyjamas on a cool Valentine’s day morning.